Your beer is lonely – and ready to mingle! Be a pal and introduce it to another nice beer who wants to party. By playing matchmaker and blending your beer, you’ll open up a whole new world of interesting flavors and textures. Your sense of adventure could really pay off as you explore the art of mixing beer. In my early 20s, I would frequently order a “Black and Tan” at my local beer bar. At some point I became a purist, believing that I should drink beer as the brewer intended. A good beer should be able to stand alone. It doesn’t need to be blasphemed with other flavors or garnishments to make it taste better (I’m talking to you, lime wedge!). All of this is true, but it doesn’t mean we can’t have some fun. We pair beer with food, fruit, cheeses, chocolate – why not other beer? One night while drinking at Fisher Brewing, I asked the wise bartender what I should have. He told me how he’d been enjoying the “Black and Red” lately – their red ale topped with the stout on nitro. Intrigued, I nodded my head and proceeded to have my mind blown. As I drank, the hoppy red ale started to intermingle with the smooth chocolate flavors of the stout. It was like having a ménage a trois with my beer. Fisher persuaded me to revisit the idea of beer mixes, but Kiitos got me obsessing about them. 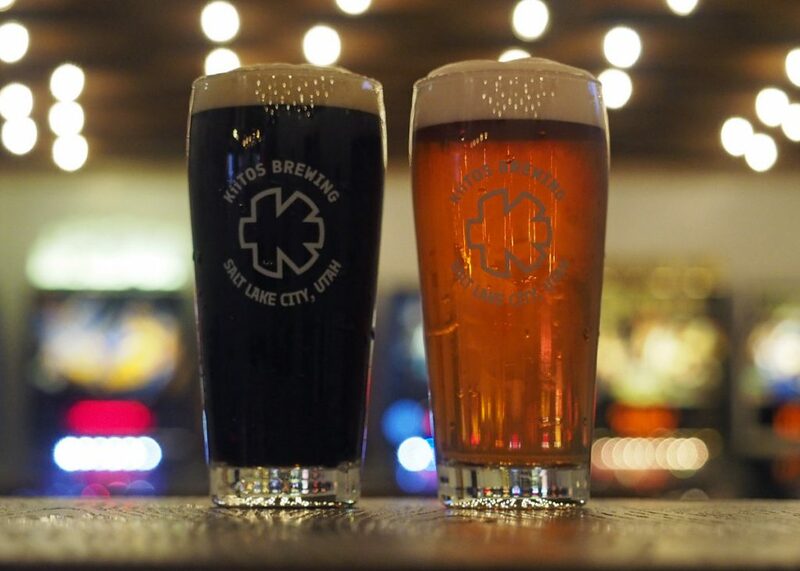 With flavors like Coconut Stout, Coffee Cream, Vanilla Nut Cream, and Blackberry Sour, Kiitos has a whole “secret menu” of beer mixes available. A nod to the beloved candy bar, Almond Joy, is a delicious combination of Coconut Stout and Vanilla Nut Cream. But, the Mosaic Pale with a bit of Blackberry Sour was definitely my favorite. Many bars and breweries do mix beers so ask the bartender what they recommend. The Bayou has a portion of their menu devoted to it. Still, not every drinking establishment is well-versed in beer mixology so you may want to understand the fundamentals yourself. This is something you can absolutely try at home. Sometimes beer with a strong flavor can benefit from a little dilution. This will make it more approachable for some palates, but also give any drinker the ability to suit their mood or the occasion. 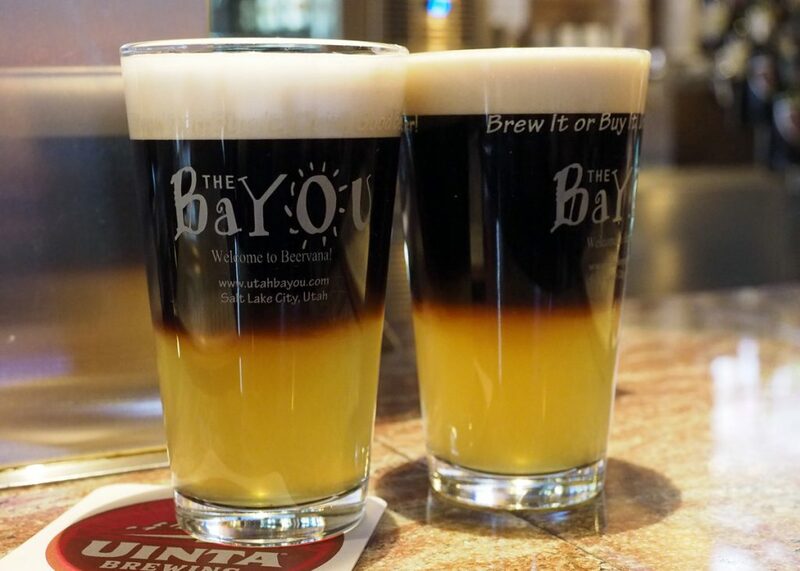 The classic “Black and Tan” (pale ale or lager layered with a stout or porter) is a good example of this. Mixing the heavier dark beer with something lighter makes it go down smooth and easy. 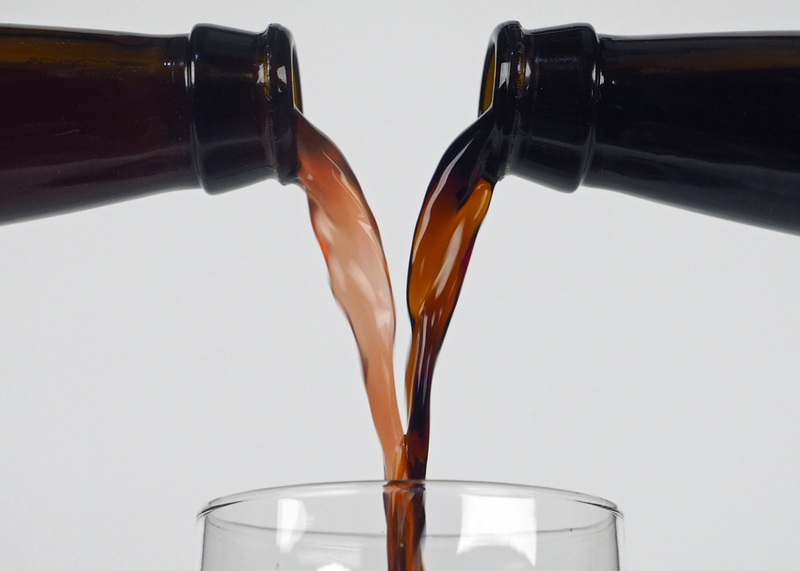 Sour, spicy, cloying, rich, or smoky beers may also be good candidates for flavor moderation. Contrasting elements add dimension to the infusion. Think: light/dark, sweet/sour, sweet/spicy, hoppy/malty, heavy/delicate etc. This is where it starts to get fun. When you combine two opposing styles, flavors, or mouthfeels, you get something in between that can be really interesting. Use flavors that will suit one another. Chocolate, coffee, or nutty flavors combine nicely with banana, coconut, fruit or spice notes. Hoppy beers can be a bit tricky, but are really fun to use in creating blends. Think about whether the hops are fruity, floral, or earthy and how they will combine with the flavors of the other beer. Don’t be afraid to try things. You might be surprised! Beer on “nitro” is really fun to use in combination with regular carbonated beer. Nitrogenized beer has a smooth creamy mouthfeel that imparts those qualities to the concoction. 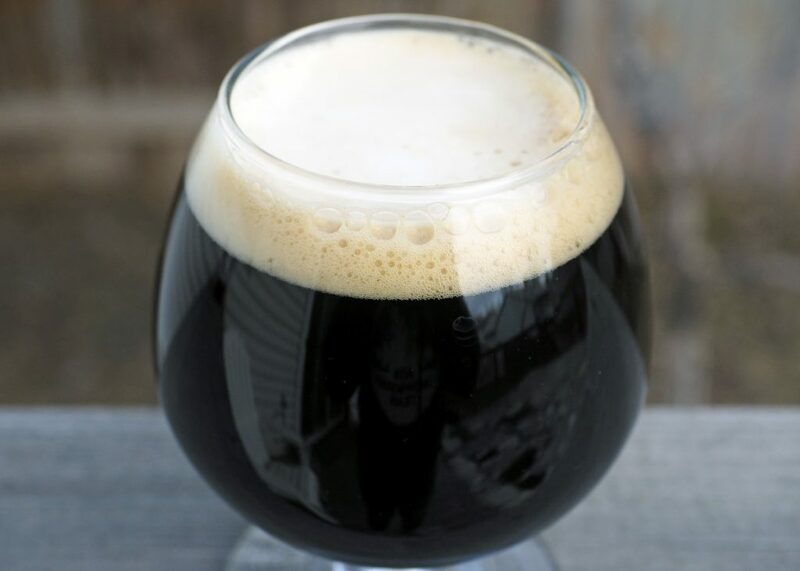 When poured carefully (hold a large spoon upside-down over the glass and pour slowly over the back of the spoon), the nitro beer will float in a layer on top of the base beer creating an ombré effect. As you drink, the two beers often slowly mingle adding a flavor shifting element to the experience. This can be difficult to achieve with 4% ABV beer so try using something a bit stronger on the bottom. Some styles are versatile and work well in variety of mixes. 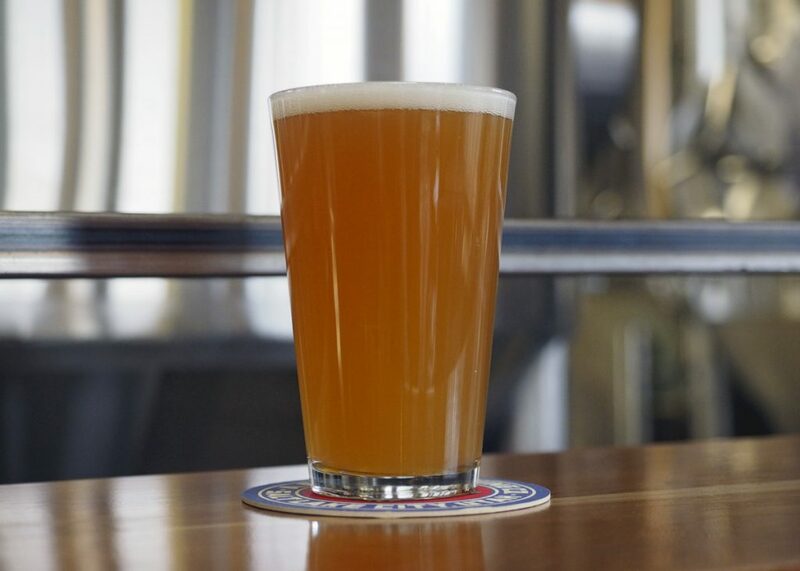 Cream Ale/Light Beers – Cream ale adds sweetness and a bit of creaminess. This and other light-bodied beers (lagers, blonde ales, pale ales, and pilsners) are perfect for mellowing out stronger richer flavors you want to temper without overpowering the flavors you wish to keep. Choose a hoppy version to add some intrigue. Stouts – The rich chocolate flavors in a stout make a fabulous backdrop for all sorts of embellishments. Think of all the subtle notes in a fine bar of chocolate– tart, fruity, floral, banana, citrus, herbs & spices, smoke – these are the makings of a successful combination. Fruity Beers – Give any beer a fun fruit note. Often will also add sweetness or tartness. Try with dark, hoppy, or spicy beers. Sours – One of my favorite things to mix! There is quite often something funky or fruity happening with sours that can really change the whole vibe of a beer. Great with stouts, IPAs or pale ales, hefeweizen, Belgian styles, anything sweet (sweet n’ sour), or spicy. Pepper Beers – Chili pepper, jalapeño, habanero, anything with a little heat, will add a spicy kick to any beer. Amazing with anything sweet, fruity, sour, hoppy, chocolatey, light or dark. Spiced Beers – Whether the beer has notes of cloves, cinnamon, nutmeg, coriander, ginger, or other herbs and spices, it can add a new flare to an otherwise ordinary beer. Pumpkin, Christmas or Winter Ales, and Belgian styles can be combined with stouts, cream ales, fruit beers, or sours to make an exciting new creation. I’m surprised and delighted by how much I have enjoyed this beer-mixing experiment! Not every mix I tried worked, but so many did. It’s a little awkward at first and it certainly got me out of my comfort zone. I’m astounded at the endless possibilities that exist when you simply allow your beer to socialize. Now, check out my Favorite Beer Blends.